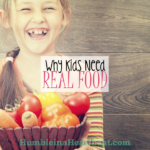 Besides the fact that many kids don’t eat all their dinner (which I attribute to not having a strict snacking schedule), they just won’t eat their veggies. Why is this? 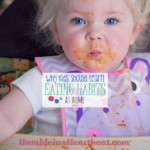 In all honesty, it comes down to how the parents are teaching them eating habits. If there is really no food education happening at home, you can’t expect your child to magically enjoy vegetables. Disclosure: This post contains affiliate links. If you click on one of these links and you make a purchase, I will receive a small commission from your purchase. Rule #5: Eat vegetables of all colors of the rainbow. Don’t eat the same main dish more than once a week. Honestly, I don’t succeed in giving my girls variety all the time. I have been way more intentional lately, at least with Bella (because of her feeding schedule), but I could improve…majorly. When I get stuck in a rut of offering the same foods to Sofía, she comes to request those foods more. Many times they are not a vegetable or lean protein; instead, she’s begging for some type of bread, cheese, or an unhealthy snack that we’ve been eating far too much of. It’s a real shame that “real” food is so dang expensive. Even if you can’t afford to buy organic produce or free range meat, you can still give your child a variety of foods. You really do have to be intentional, though. 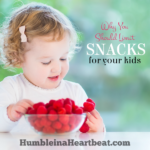 Your children cannot develop eating habits without your guidance and persistence, so be sure to make it a goal to always give a variety of foods to your child. 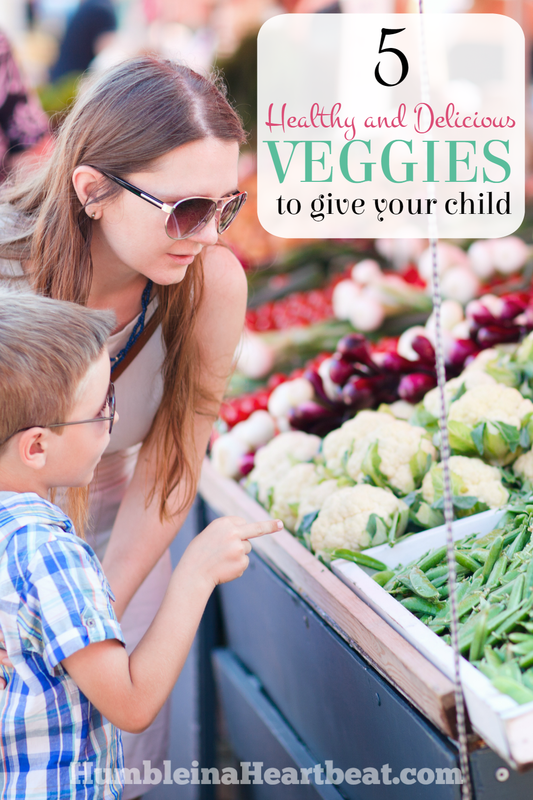 I love the idea to focus on one new vegetable per week and try to introduce it to your child in different ways every day. This is something that Karen LeBillon mentions in French Kids Eat Everything. In fact, some time this year I will be trying this and sharing with you my progress. I still have to work out the details, but I can’t wait for it to come to fruition. Start by choosing 4 or 5 new vegetables for the month (make sure they are in season). Think of every day ways that you can use each vegetable that doesn’t require you to look for a new recipe. This could be as simple as switching out one less healthy ingredient for a vegetable. Get your kids excited for variety by letting them choose the vegetable of the week. Then let them help you in the kitchen. Mine are both way too young to help me, but I sometimes let my toddler watch me chop veggies or see them cooking on the stove. Throw some spinach in a smoothie and your kids will be none the wiser. 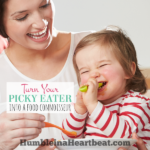 You should try to avoid “hiding” veggies, but it might make things easier on you and your child if you ease into it. Roast broccoli with a bit of salt, pepper, garlic, and shredded parmesan. Your kids will be begging for more. HERE is a simple recipe I found through Pinterest. Make a soup from sweet potatoes. Or roast them with a bit of honey over the top. The family’s gonna think you’ve gone mad and are serving dessert for dinner. Make THIS fabulous salad (I’ve made it numerous times) with grape or cherry tomatoes. They are tiny and delicious. No kid will complain about that. You can also tweak it to use ingredients you have in your pantry right now. Make pesto pasta and you will become mom of the year. No joke. What is one vegetable you have always avoided? Are you willing to try it for the sake of your child? I'm a mom of 3 on a journey to feed my family nourishing foods. Personally, I believe you can cook healthy food and still have time for your loved ones. Wonderful tips and suggestions Charlee. 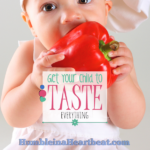 It’s so important to expose children to different veggies at a young age so that they can develop a taste for them. Plus considering alternative ways to prep is so important. Preparation can make a huge difference in taste! I prefer my zucchini somewhat on the crisp side– so I steam lightly rather than boil or fry. I grew up eating a lot of veggies a bit overcooked, so I still prefer a lot of them this way (especially broccoli). I’ve learned to enjoy crisp green beans just recently. Preparation method also matters when you want the most nutritional benefits from your veggies. Thank you for reading and sharing your thoughts, Jennifer! I just cannot eat tomatoes. It’s a texture thing more than a flavor issue. Would I eat it for my kids? To encourage them? Maybe? Honestly, I couldn’t promise. But this is a great way to start out the new year! I’m the worst about getting in a food rut and eating the same old recipes over and over. I can totally relate, Brandi. Onions are not my favorite. In fact, I wouldn’t eat onions at all before I got married. I now gladly eat onions on a regular basis (only cooked so far), but it literally took me YEARS before I could finally say that I liked them. I would never eat them alone, because it’s a texture thing for me. I think it will be another decade before I will eat raw onions. So I think if you can try a little at a time in different recipes or prepared differently, you might end up liking tomatoes. Or not. Really it’s up to you. If you are open minded, anything is possible 🙂 I am so glad to see you around! And thank you! I am so glad to be back around! I have been keeping up on bloglovin, but hadn’t had much time to interact! It feels so good to be back among friends! I had a pear smoothie that included spinach a few weeks ago. I couldn’t taste the spinach at all. Can’t disguise the green color thought. Believe it or not, I’ve never had pear in a smoothie before. Great idea! I agree that the color can be tricky with some kids. What I’ve found, though, is that putting spinach with darker fruits like berries doesn’t change the color to green. Thank you for visiting! I’m definitely on the “won’t eat broccoli” bus with Dylan. I’ve tried tricking him but he figures me out…that is, until I began pureeing it. All of a sudden my 2 year old is a 9 month old and will eat anything as long as it’s puree form. Still pinning this post! It’s great you figured out the best way for him to eat the broccoli. I was just feeding Bella quinoa yesterday and she acted like she didn’t want it after a few bites, so I took a bite, and she happily ate the rest. Kids can be funny sometimes! 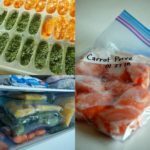 I used to struggle big time with getting veggies into my family's meals. After several years and much trial and error, though, I now believe you can cook healthy food and still have time for your loved ones. Click here to find out more. categories Select Category All Ages All Recipes Argentine Dishes Babies (<1 yr) Breakfast Breastfeeding Moms Cooking with Kids Dinner Easy Recipes Eat More Veggies Eating Habits Feeding the Family Food Prep Food Prep Basics Food Prep Ideas and Tutorials Freezer Cooking Grocery Budget Healthy Healthy Food on a Budget Homemade Food How to Freeze… Inventory Kid-approved Kids (4-12 yrs) Kitchen Hacks Kitchen Organization Lunch Meal Planning Other Feeding Frustrations Physical Organization Picky Eaters Pregnant Moms Quick Real Food Recipe Organization Seasonal Meal Planning Setting a Grocery Budget Snacks Stocking Your Freezer Tasty Tight Grocery Budgets Toddlers (1-3 yrs) Treats and Desserts Uncategorized Use It Up! Copyright ©2019, Feeding Our Flamingos. All Rights Reserved.